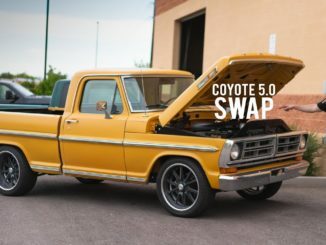 Based on a 1977 Ford F-150, the Ken Block’s 914-HP Hoonitruck makes its massive 914 hp and 702 lb-ft of torque thanks to a custom-tuned V6 EcoBoost turbo motor taken straight from the Ford GT Le Mans development program. 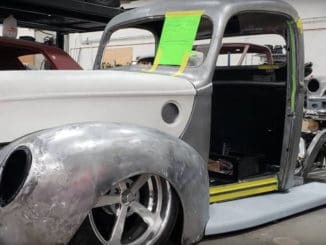 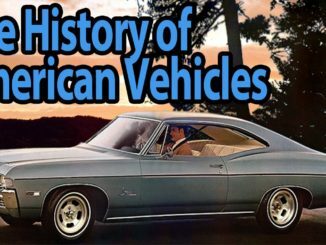 A Sadev six-speed transmission sends the power to all four wheels and the chassis, bodywork and fabrication were all taken care of by Detroit Speed. 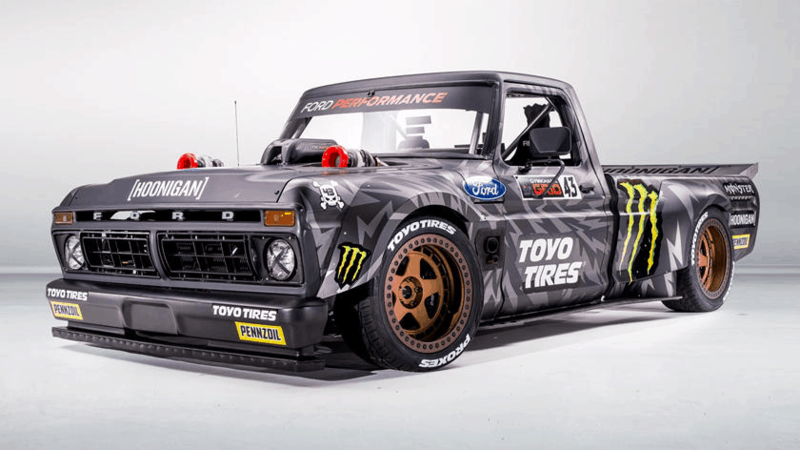 Ken Block and his team were responsible for the design and styling elements. 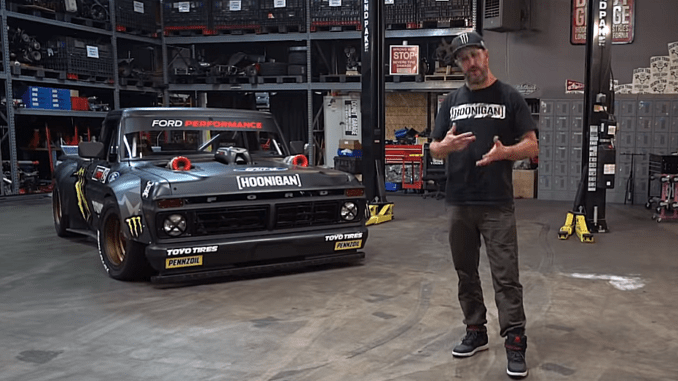 The Hoonitruck will be on display at SEMA 2018 in Las Vegas and will be featured in the upcoming Gymkhana Ten video from Amazon Prime on December 7, 2018 — The video will be available globally on Ken Block’s YouTube Channel ten days later.